The Byzantine Empire started in the 4thcentury after the fall of the Roman Empire. Byzantine architecture began as a continuation of Roman Architecture and is a crucial factor in the development of early Islamic architecture. 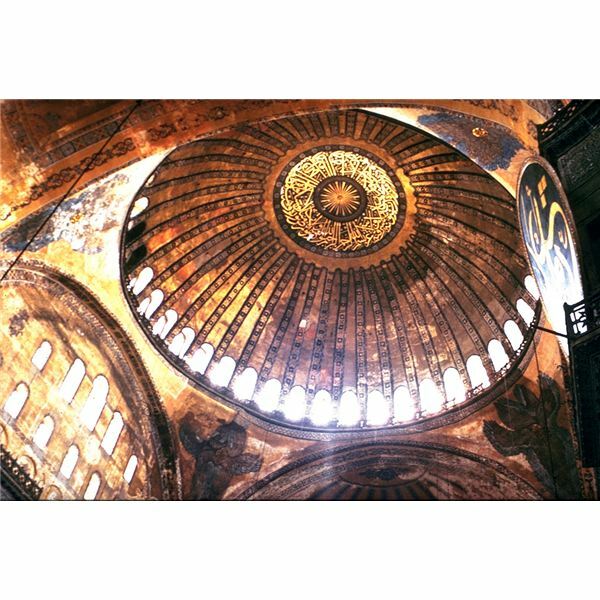 The Byzantine style is mainly found in Constantinople, which is now Istanbul. The best example of Byzantine architecture is seen in the magnificent churches built at that time. It is said that Byzantine architecture initiated the development of basilicas, an earlier type of Christian church. Byzantine churches were made mainly by two types of plans – axial and circular plans, of which the latter one was used prominently. The circular type of architecture mainly consisted of a raised dome at the center with a massive space below it. This central space was often surrounded with thick walls, which lead to inlets that went deep down into the structure. Famous examples include the church of St. George, Salonica, which was built in the 5th century; and Sta Costanza, Rome, built in the 4th century. Both the structures are vaulted with extensions thrown in all the four directions from the central space in order to form a cross. 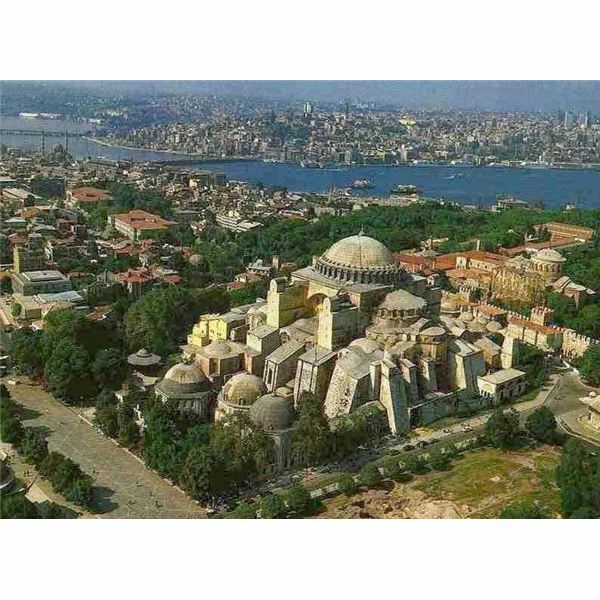 The famous church of Holy Apostle of Constantinople features all the characteristics of Byzantine architecture. Moreover, many churches with this architecture had space under the dome enlarged by extending the octagonal shape. Some of the structures even had five domes, built over a cruciform plan. The shape of the central area of the building depended on the plan. Thus, the area could be square or octagonal shaped with at least eight piers supporting the structure. Also, all the churches had a small narrow entrance porch and a square court or atrium in the front. The atrium often consisted of a fountain in the middle and was sheltered by a canopy supported by the pillars. Inside the building, the space exactly beneath the dome was an elevated floor from where the scriptures were announced. Just beside it was the place for the choir of singers. On the eastern side of this arrangement was the altar, which was also protected by a canopy. On the opposite side of the altar are the rows with rising seats, distributed into two parts by a raised walkway at the center. Byzantine architecture also concentrated more on the decoration of the interior of the building. The side walls were decorated with massive portrayals of saints and gods. The upper section of the vaults and walls were decorated with more complex portraits, describing incidents from the Gospels or the Day of Judgment. Islamic architecture was very influenced by Byzantine buildings. The dome style of Islamic buildings was inherited from Byzantine churches. This type of dome is also known as the “onion dome." A famous example of the Onion dome is the one in the Taj Mahal in Agra, India. Byzantine architecture’s influential style inspired many cultures around the world. Even today, many structures in Russia are a direct reflection of this architecture. The “onion dome" also appears on the famous Kremlin in Moscow. Builders in ancient Byzantine not only created structures that acted as windows to the spiritual world, they influenced and inspired generations of builders after them from all over the world. 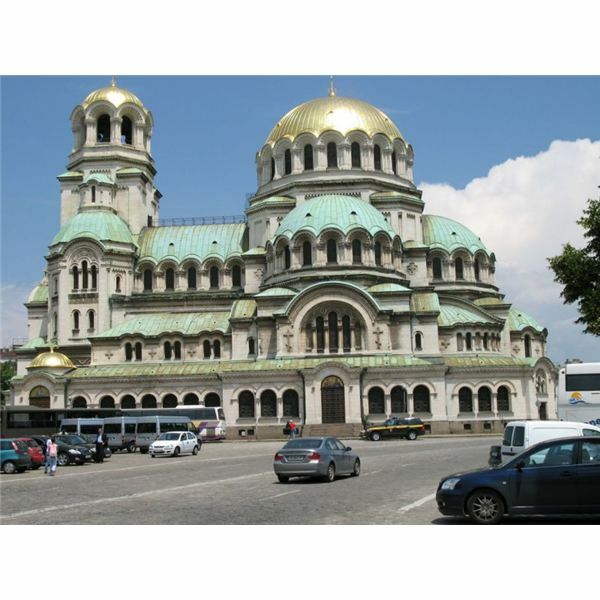 Information about Byzantine Architecture from thinkquest.com and historylink101.